The holder of this credential has been a continuous and active employee in good standing at Credly for one year. Persistence for a full year at Credly requires demonstrating the skills claimed by an individual joining Credly as well the ability to learn required competencies while on the job. Credly empowers organizations to officially recognize individuals for demonstrated competencies and skills. Credly’s mission is to connect people to opportunity based on their talent and capabilities. 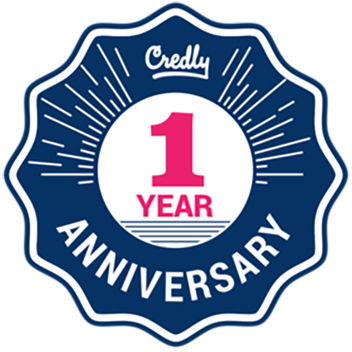 One year active and continuous employment at Credly.